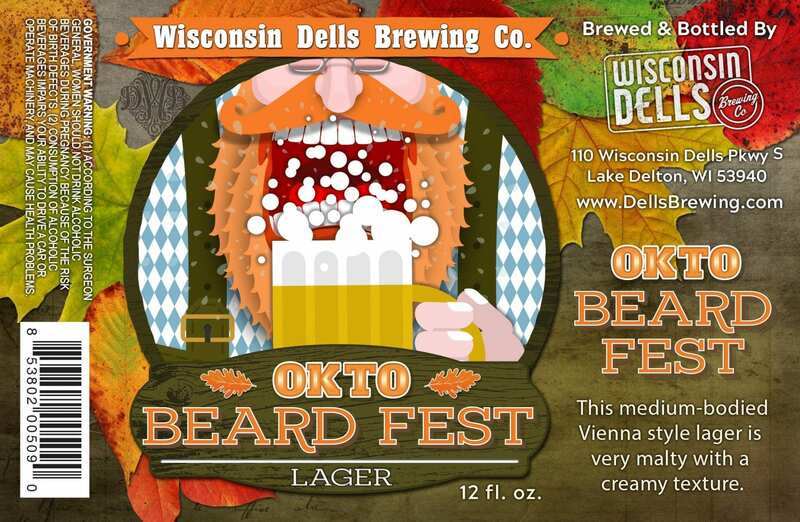 I’m not sure what YOU were doing during Craft Beer Week, but your favorite breweries (and some you’ve never heard of) were submitting beer labels to the US government for approval. 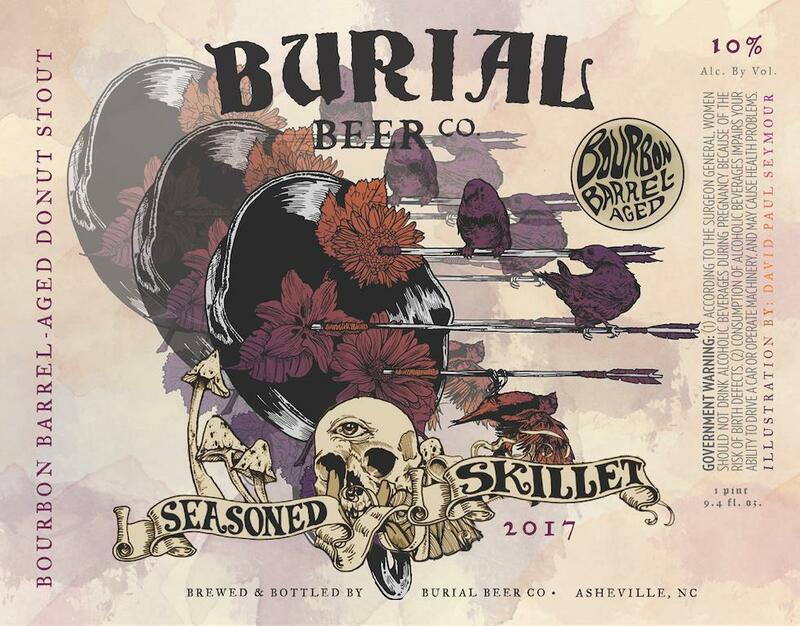 There are some gorgeous labels on the horizon. Let’s dig in! The following labels were registered with the Alcohol and Tobacco Tax and Trade Bureau during the month of May, 2017. They have been selected for their aesthetic appeal or simply because I thought they were really cool. 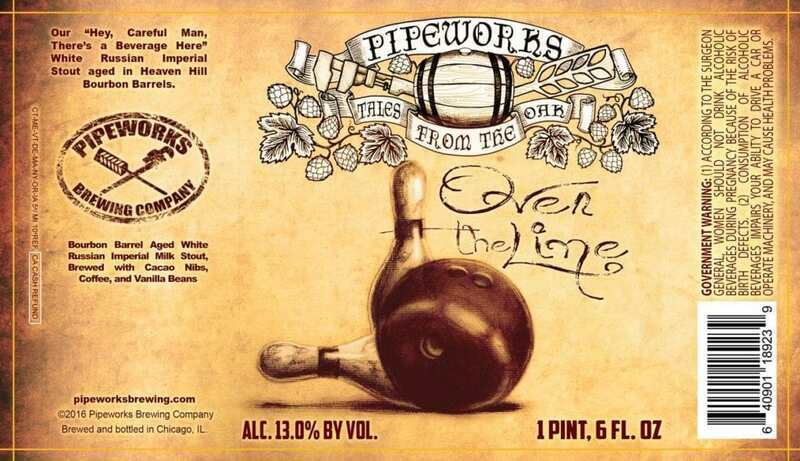 This label is a bit of a departure for Wicked Weed. 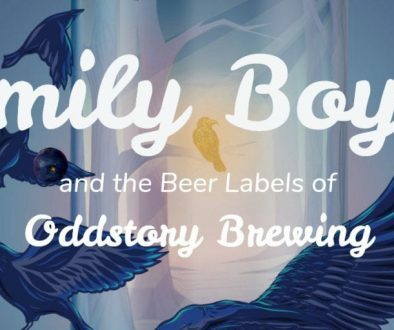 So much so, I had to reach out to them because I was worried that Howell Golson was no longer creating their label art. As it turns out, he still is and this is yet more of his gorgeous work! 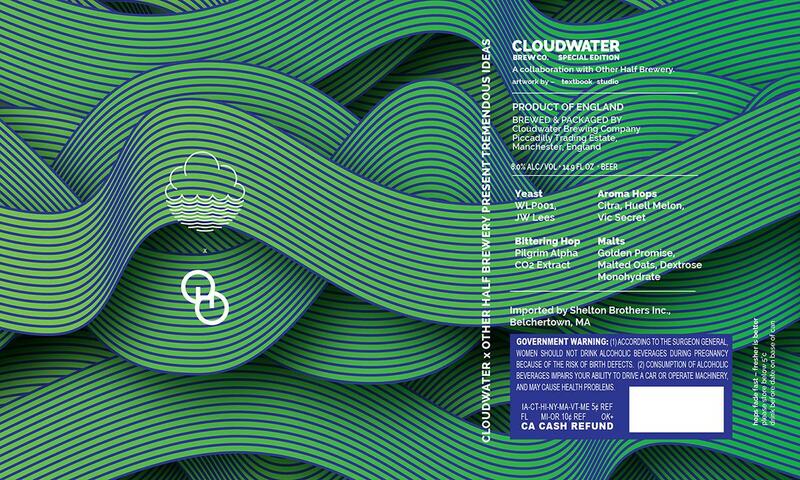 This label, as well as the Cloudwater logo, was created by Chris Shearston of Textbook Studio in Manchester. 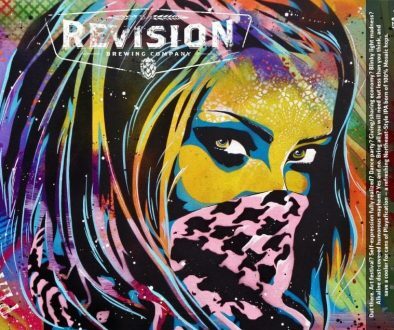 May was a great a month for abstract label art, as you’ll see as you read on. “The art concept really begins at Kölsch and is built around a number of visual components that were initially connected to it. The general form of the design pulls from the Crest of Cologne, the birthplace of the Kölsch style. 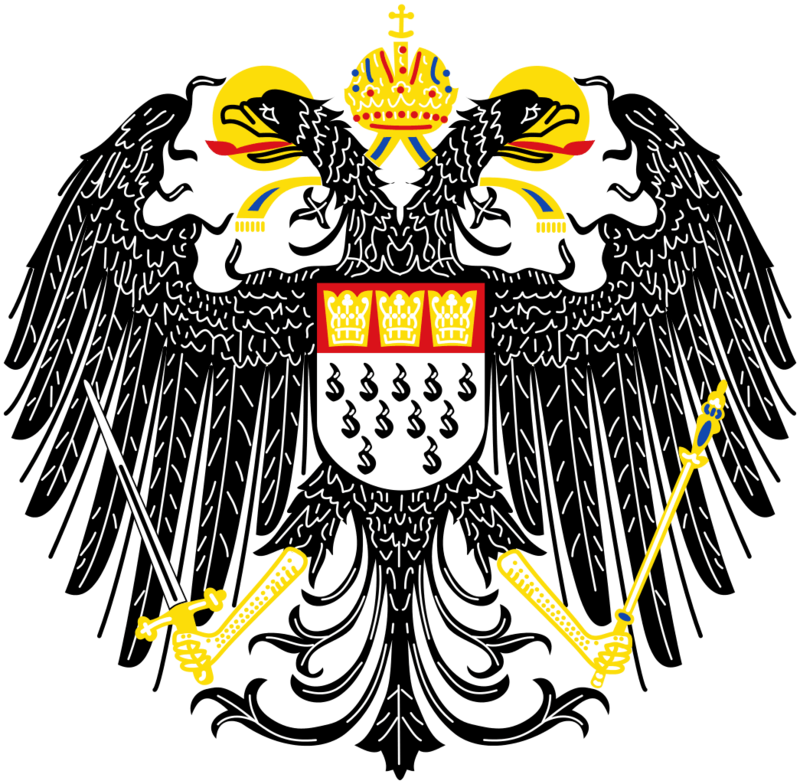 The crest features a two-headed eagle, which immediately caught my interest as good opportunity to represent the collaborative nature of the beer. 11 ‘drops’, a shield, and several crowns are also present on the original crest, but from there it began to deviate from its original form as I created a new personal context for much of it, just as the beer itself is more inspired by Kölsch than actually being Kölsch itself. “I replaced the shield section of the crest with an exposed and shared heart to represent the (philosophical) aesthetic overlap of the breweries and the rather exposed personal philosophy displayed in the artwork. Though the two-headed creature of the original crest works well to represent collaboration, I wanted to draw a bit more from it as well. The cold ‘lager’ finishing fermentation of the Kölsch style in contrast to its initial warmer ale fermentation and even warmer birth had a poetic element to it that reminded me of the slow cold fade of the universe towards entropy. This became the backbone the concept and is what gives the design its rather dichotomous appearance, though it’s more meant to depict a lateral shift. Considering that I tend to have a rather romantic appreciation for nihilism, it seems fittingly ironic that a dichotomous theme emerged. I began to expand on the concept of creation/energy/life moving towards loss/entropy/death. All eleven ‘drops’ from the original crest are accounted for. This was important to incorporate into the aesthetic as a carry over from Bryn Perrott, the artist who created the amazing works for Jackie O’s mainstays. Energy and drive for life are represented in the salivation of the dragon, loss in the tears of the transient snow goose, and waste in the bleeding ‘sacred’ crown (a personal and specifically nihilistic viewpoint on religion as a wasteful endeavor). There is a very tender detail that I chose to subtly include as another overlap in the breweries. There are five larger stars that start at the red star in the crown and disperse from there to represent the astrological sign Cancer. There is a personal significance to me and to the owners of both breweries in the loss that the constellation represents. 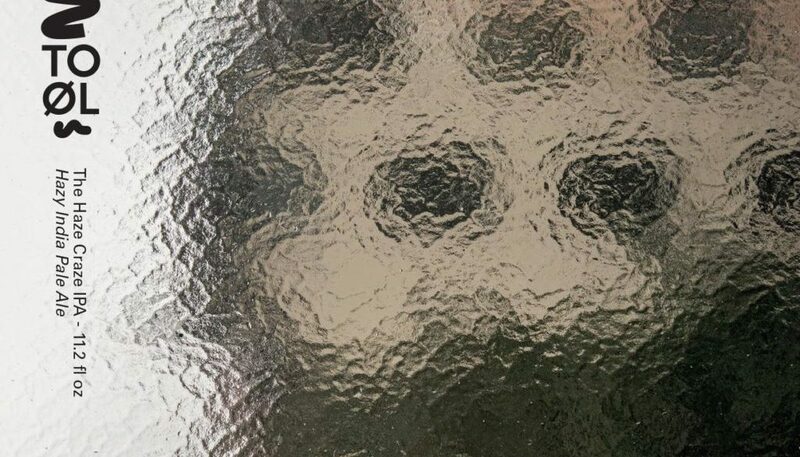 As the general theme of the label concludes, sometimes great inspiration can come from the very real recognition of loss, and for me, such loss inspired a philosophical departure. 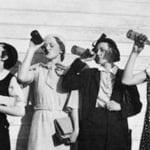 The ultimate resulting nihilism is present in the label but does not condone defeat or inaction, rather it encourages one to recognize the limitations of existence and learn to work with purpose instead of wasting precious effort searching for meaning. It’s okay, TO ØL. I don’t care if you know that I’m stalking you. 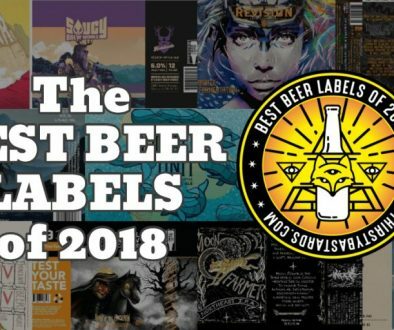 Blame your delicious beers and gorgeous labels. I get the message you are sending and the answer is “Yes”. 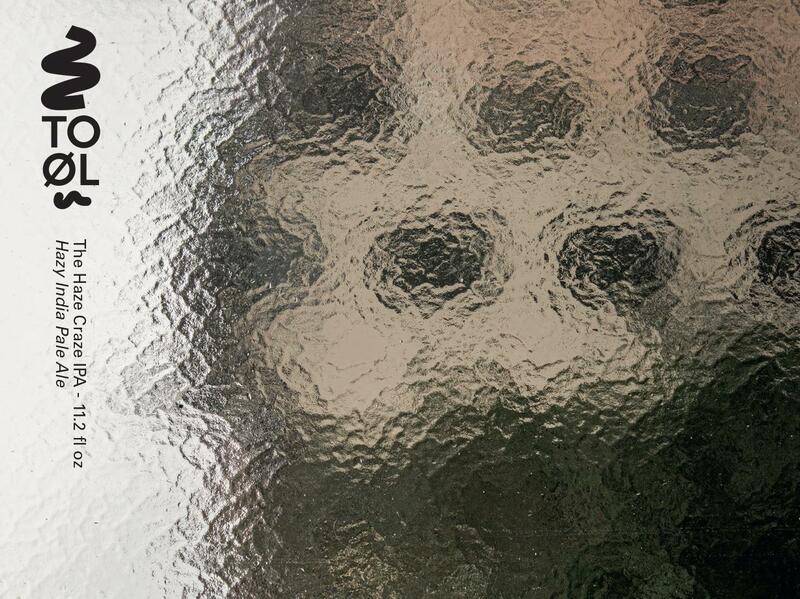 I would try and get a look at you through the shower door. 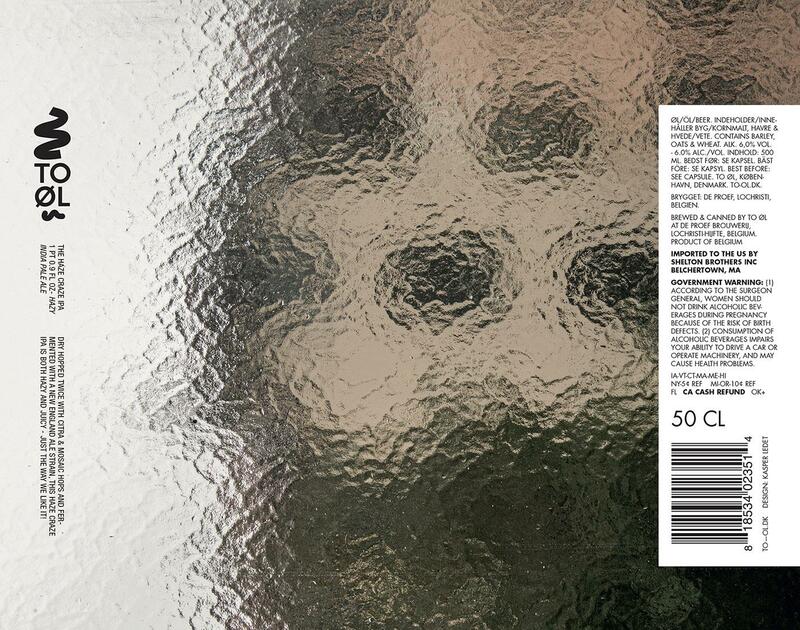 TO ØL’s art photo labels are a favorite of ours. 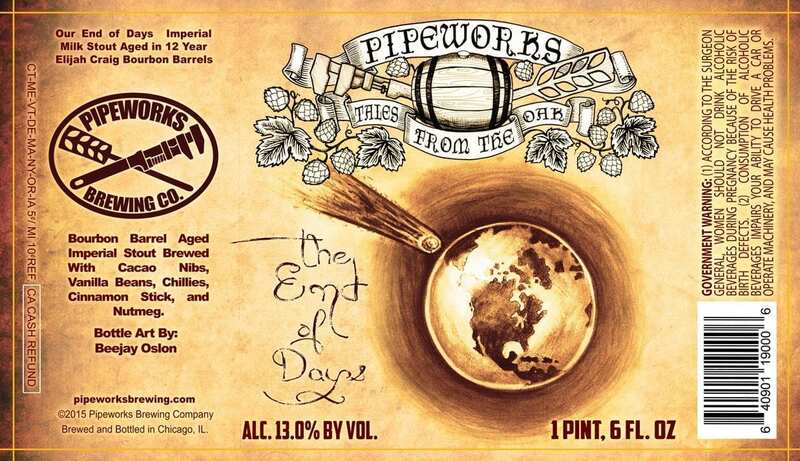 This is yet another amazing label by David Seymore. Well here’s a surprise! 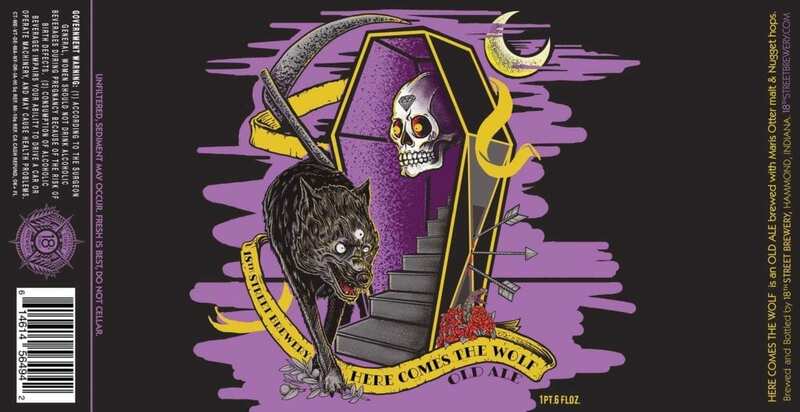 Here we have a Three Floyds label created by Half Acre artist Phineas Jones. I found the original on Jones’ Octophant website, but this looks like it’s been heavily worked over with lots of filters applied. Why filter the heck out of it? This label is actually a sequel (hence the “II”). There’s some insane stuff going on here. Words don’t do it justice and to be honest, every time I try, I find something new and I don’t know where to go with it. 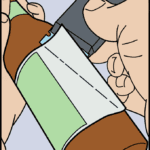 Definitely check out the original artwork on Jones’ site. 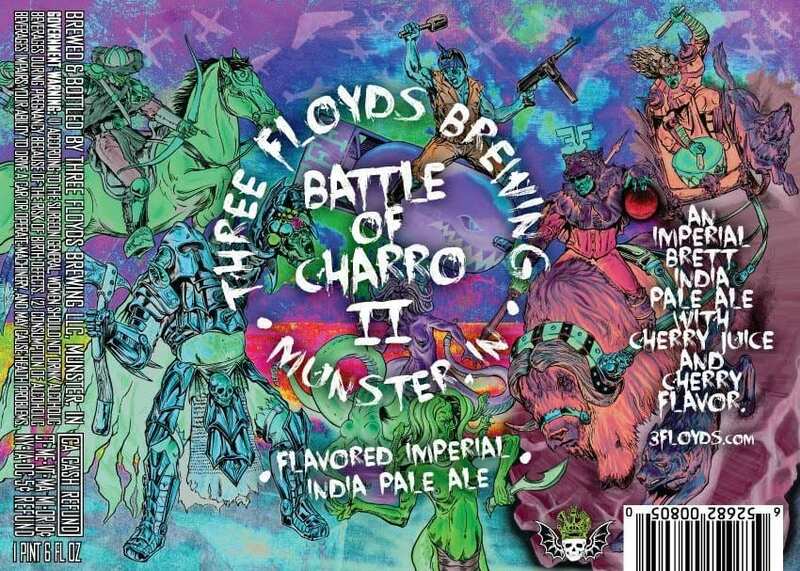 I’m also first noticing that Three Floyds gives artist credit for their labels on the website! Is there anything they can’t do? I’m not sure what’s going on here, but if you asked me to depict the image of “continuous feedback”, it might look a little something like this. 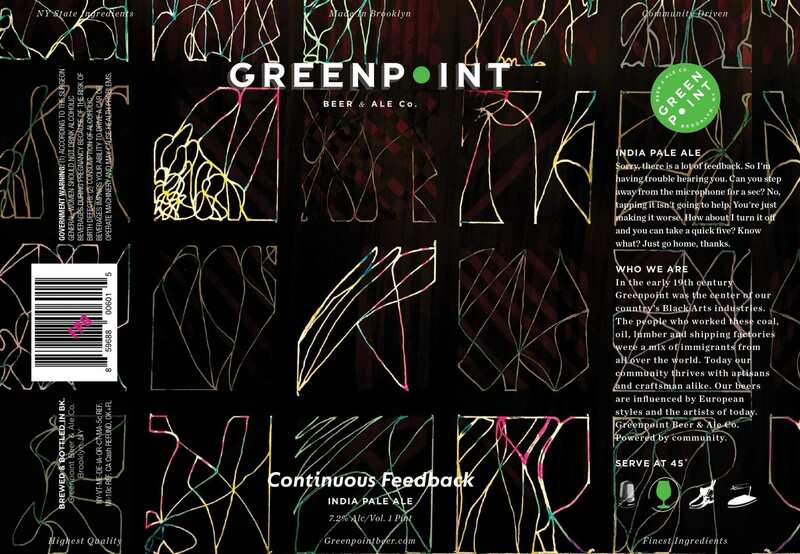 Greenpoint likes abstract art for their can labels. I’m guessing because titles like “Constant Reassurance” and “Instant Credibility” don’t offer up obvious imagery. Plus the literal interpretation of “Grey Matter” wouldn’t sell a lot of beers. 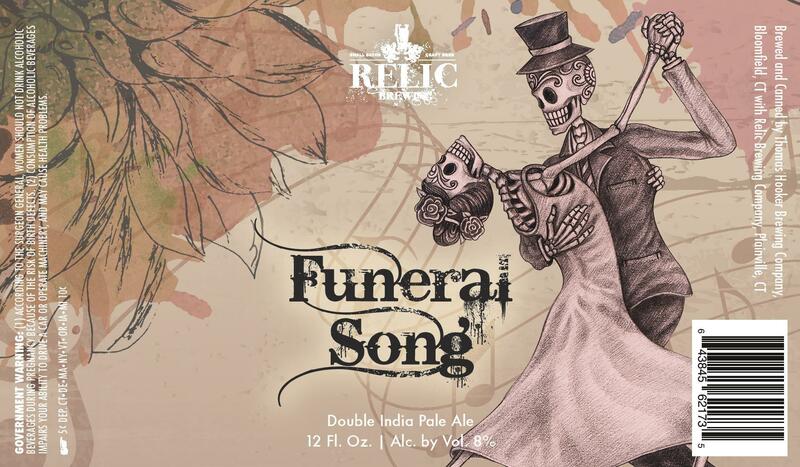 Just a charming Day of the Dead skeleton couple doing a dance. I love the combination of foreground and background elements – the leafy plant shapes and the musical elements. Great color scheme and composition. 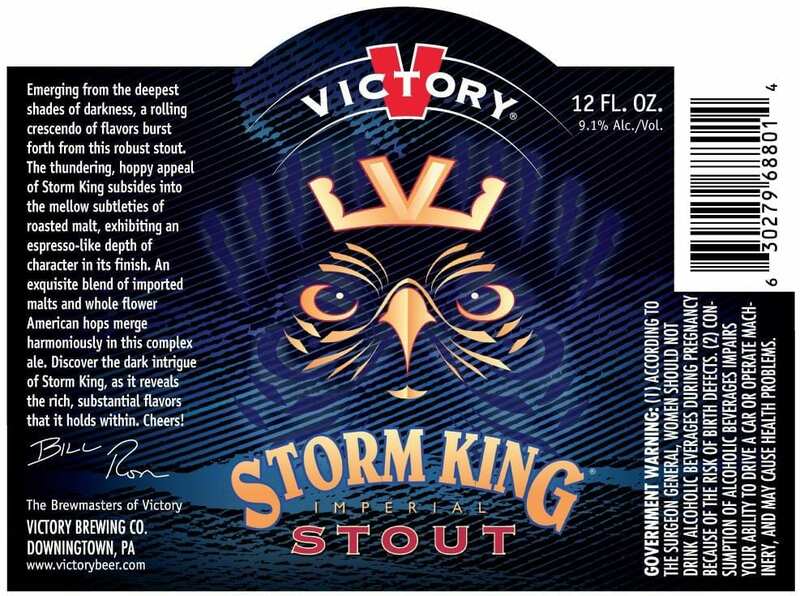 This is actually an updated version of Victory’s Storm King label. The oldest version I could find dates back to 2013. 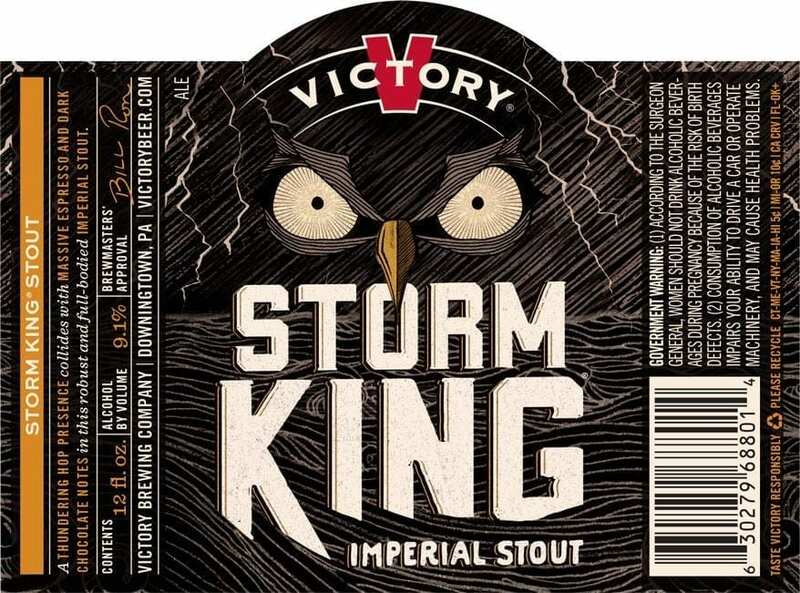 As you can see, the face of the owl still seems to represent the spirit of a thundering ocean tempest.